Pasadena isn’t the only area city with a name that starts with P that will be electing a new Mayor this May. Every weekday morning, Quentin Wiltz drives about 30 miles from his home in Pearland to his job in the Energy Corridor on Houston’s far west side. His wife Monique’s commute is even longer — almost 50 miles to a Lone Star College campus in northwest Harris County. The couple spends about $250 a month on tolls, the fees silently extracted from their accounts as they streak past electronic monitors. Thousands of other residents of this booming city on Houston’s southern fringe experience variations of this grueling daily journey. Unlike his neighbors, however, Wiltz, 36, hopes soon to be in a position to do something about Pearland’s mobility challenges and other local issues. He is one of two young candidates challenging 91-year-old Mayor Tom Reid, who has led the city for 34 years, in the May 6 election. Pearland’s population has tripled, to about 120,000, since 2000, according to the city planning department. This dramatic growth has created many challenges, but none is more vexing than mobility. Pearland has a relatively small employment base, and most of its residents, like Quentin and Monique Wiltz, commute to jobs elsewhere in the vast Houston region. Reid, Wiltz and the third candidate, Jimi Amos, will no doubt be talking a great deal about this topic between now and May 6. It’s unclear, though, how many people will be paying attention. The heaviest turnout in Pearland’s city elections generally comes from its older section, along Texas 35, rather than from the newer subdivisions and master-planned communities closer to 288. This limited engagement may account for the lack of diversity among the city’s elected officials. When Derrick Reed defeated Wiltz in a 2015 runoff, he became the first African-American elected to Pearland’s City Council. A current group photo of the city’s elected leaders shows Reed standing among six white men, including Mayor Reid. This year’s mayoral challengers, Wiltz and Amos, are African-American. All six council members are elected citywide, a system that tends to limit opportunities for people of color to get elected. 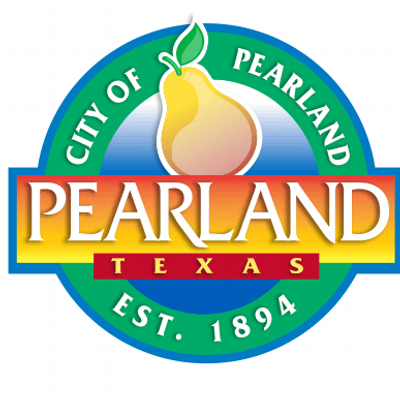 Pearland’s population is about 47 percent Anglo, 25 percent Latino, 17 percent African-American and 9 percent Asian. Quentin Wiltz’s website is here, if you’re interested. I don’t know any of the candidates, so I’m just going to say two things. One is that whatever one may think about Mayor Reid, I hope I have that much energy and desire to be active when I’m 91. Two, the bill to mandate November-of-even-years-only elections would certainly have an effect on the turnout in Pearland. What that might mean for this particular election, or to elections in general in Pearland, I couldn’t say. But it would have an effect, of that I am sure. UPDATE: Jimi Amos has a campaign website as well, which you can find here. Your headline is misleading. In Pasadena the incumbent Mayor Johnny Isabel is not in the race for mayor. In Pearland the incumbent is in the race for re-election. I looked at Quentin’s website, and he seems like a nice guy, but I have absolutely zero idea what he is proposing to do as a mayor. Will he stop the annexation machine? Will he endeavor to lower skyrocketing property taxes? Exactly what is he proposing that is different than what is going on now? I like your message and proposals, but your message has several grammatical and punctuation issues that detract from the overall presentation a little bit. You are absolutely correct that property taxes are skyrocketing, and based on what I see so far, you would get my vote against Reid, handily.